In the football mecca known as Green Bay, Wisconsin, there is never truly an “offseason.” Fans fill the bleak months that follow the Super Bowl with unfettered hope for the next season that lies ahead. That hope is buoyed by free agency and the draft in early spring, and further strengthened by the arrival of offseason workouts, mandatory minicamp, training camp and preseason games. But to any Green-and-Gold aficionado, nothing quite beats the regular season. Rivalries old and new alike are renewed with the fierceness of a Nitschke-era tackle. Mere months separate opening kickoff from the commencement of the postseason. Every game matters. Every snap matters. It’s the kind of high-stakes sport just begging to be seen in person. 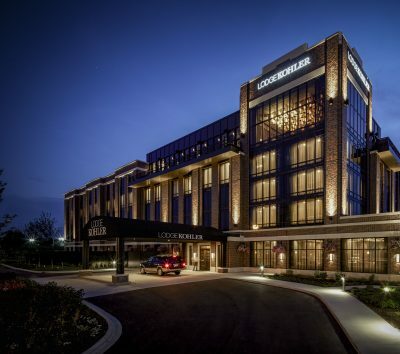 Steps away from Lambeau Field, Kohler Co. debuted its four-diamond hotel, Lodge Kohler, in 2017. The hotel is an extension of Kohler’s other Wisconsin properties, like the American Club, and offers premium access to all things Titletown. As a four-diamond hotel, you can expect to be greeted by extraordinarily-attentive valets and doormen and accommodated in a room equipped with a state-of-art Kohler bathroom and dramatic floor-to-ceiling windows. Other amenities include a full-service Kohler Water Spa, indoor family pool and enhanced fitness facility. Choose to dine in elegance at the Taverne in the Sky, which turns out upscale comfort food like wood-fired filet mignon and cracker-crusted walleye, or opt for the more casual Leaps and Bounds Café. At the Taverne in the Sky’s panoramic bar, the Old Fashioneds flow freely and guests can take in unparalleled views of Lambeau Field. Lodge Kohler is also located in the heart of the Titletown plaza, a new community development just west of Lambeau Field featuring a large park with year-round activities, including a winter tubing hill and skating rink. Ideally-located only a few blocks from Lambeau Field and the Resch Center, Green Bay’s Tundra Lodge provides an experience that is fun for the whole family. Kids of all ages will love the hotel’s arcade, splash pad and three-story water park, while older guests will enjoy the hot tubs, lazy river and after-dinner cocktails at the hotel’s Yukon Jax Bar. When it’s time to dine, treat yourself to carved prime rib at the Tundra Lodge’s Caribou Restaurant topped off with ice cream or local Seroogy’s chocolates from Klondike Kate’s Candy Store. With massive wooden beams, a 45-foot stone fireplace and rustic decor, the hotel’s elegant hunting lodge ambiance offers a truly welcoming retreat. 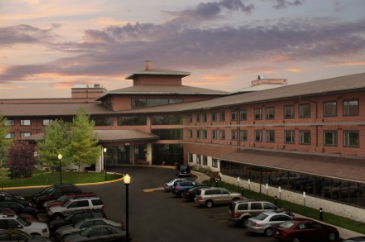 Location, location, location…is what draws many fans to Best Western Green Bay. The hotel is just minutes away from Lambeau Field, allowing guests to easily walk to the Packers’ practice fields and Hall of Fame, Titletown plaza, and many of the city’s most popular restaurants and sports bars. Within the hotel, Best Western offers complimentary WiFi, an indoor pool and spa tub, as well as a fitness center. Looking to bring your “best friend” on your Titletown retreat? 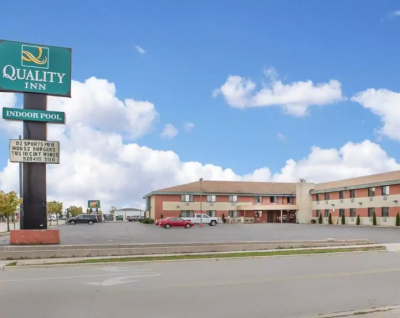 The Quality Inn offers reasonably-priced, pet-friendly rooms in the Lambeau area. Guests will also enjoy a free full breakfast, complimentary WiFi, an indoor heated pool and whirlpool, and easy access to the Lambeau entertainment district. The contemporary, recently-renovated Hotel J accommodates a variety of group sizes and budgets. Choose from a standard room, family suite or unique themed suite decorated to reflect Caesar’s Palace, the Amazon jungle, a Tuscan villa and more. 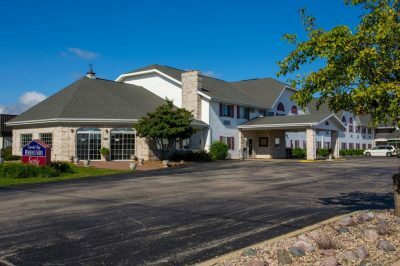 Hotel J is just a short drive away from Lambeau Field, Bay Park Square Mall, comfort food-focused restaurants, including T. Bacon’s BBQ and Famous Dave’s, and other popular Green Bay attractions. Additional amenities include a complimentary breakfast, free WiFi, an indoor pool and whirlpool, and free airport shuttle service. Situated across the street from Austin Straubel Airport and just four miles away from Lambeau Field, the Radisson provides more than just a great location. 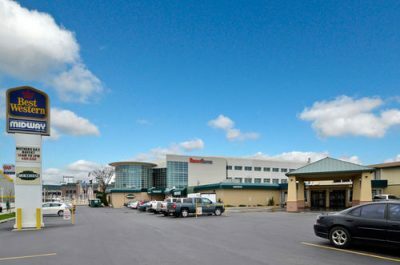 The hotel is conveniently connected to Oneida Casino via an indoor corridor and boasts fabulous on-site dining options, live entertainment, 24-hour shuttle service, free WiFi, and an indoor pool and sauna. 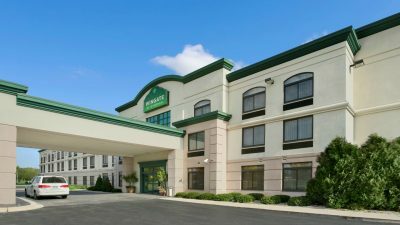 Dedicated to value and convenience, Wingate offers newly-updated rooms as well as complimentary shuttles to the Green Bay airport and local hot spots like Oneida Bingo and Casino, Bay Beach, the NEW Zoo, and most importantly, Lambeau Field! Guests will also enjoy a breakfast buffet, fitness room, and other amenities. So, there you have it—everything you need to know to set yourself up for an amazing stay in Green Bay, Wisconsin! Check into any of the hotels listed above, and you’ll get a great taste of what this fun-loving football town has to offer! Also, be sure to team up with Event USA for the best game-day experience possible! From high-demand game-day tickets to a variety of hotel packages, Event USA has everything you need to make your trip to Green Bay unforgettable!